Some of my fondest childhood summer memories were my car drives with Mom on late August afternoons. We’d search high and low to find the farmer on the side of the road selling the freshest crop of Silver Queen corn out of the back of his pick up truck. Mom would scavenge through all the ears, pull out pieces and prove to me first-hand that the higher the quality of sweet corn, the greater the chance of ear worms. Whenever I bothered to pay attention, there was also some message or lesson to be taught. In the end, we enjoyed the delicious taste of grilled corn alongside our homemade meals. 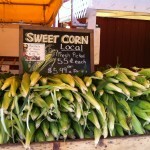 In the spirit of summer and corn, I’m excited to introduce you to Amaize Sweet Corn. 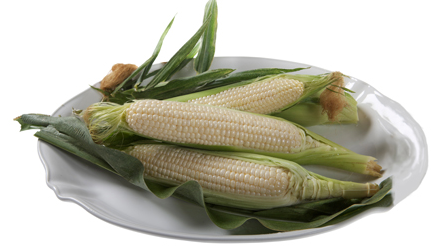 What’s amaizing about Amaize Sweet Corn? It’s a rare breed of sweet white corn created using traditional natural breeding methods through hybridization. Translation: this corn is never genetically modified. It’s only grown and harvested during the warm summer months and available for a limited time during those months throughout the United States. Amaize sweet corn is the brain child of George Crookham and Bruce Hobdey. The pair began working on perfecting the taste and texture of this sweet corn in 1989 after experiencing a type of corn with a crunch and a pop that differentiated itself from the textures of other corns, which tended to get mushy when cooked. After 22 years of development, and over 10,000 varieties of corn tested, Amaize Sweet Corn was born—boasting a balance of crunchy texture and sweet bold flavor. Where can you get awesome ears of this corn? 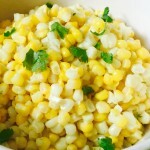 So, what to do with your Amaizing Corn? Remove the husks and silk from the cobs. Place the cobs in a pot with boiling water, ¾ cup milk and 2/3 cup sugar. Cover the pot and return it to a boil again Cook for 3 to 4 minutes. Carefully remove the cobs from water promptly to prevent overcooking. Peel back husks, and remove them from the base of the cobs. Remove all silk from cobs. Melt butter and use basting brush to completely cover corn husks. 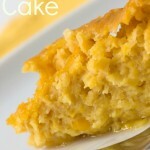 Use approximately 1 tablespoon of melted butter per husk. Sprinkle some sea salt on top. Tightly wrap butter-coated husk in tin foil. Heat grill to high and place cobs in husks on grill. Grill for 20 minutes, turning every 5 minutes. Husks will blacken. When cobs are done, remove from grill and carefully remove tin foil. Once you’ve mastered boiling and grilling? 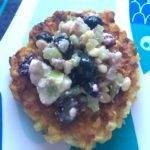 You can get creative and adapt some of your favorite recipes with corn. Add it to your salads, salsas or sprinkle the kernels over your fish dishes! Disclaimer: This is a sponsored post. I received ears of corn for review purposes but all opinions expressed within are, as always, my own.